Does the sight of rats annoy you? Are you the constant sufferer of rat attacks? If yes, then you should take immediate steps to rid of the baleful pests by taking the help of expert pest professionals. As soon as you see a rat moving around the surrounding areas, you should ring up pest professionals to provide you the useful pest treatments by which you can get shot of the toxic pests in no time. Remember, a single rat can make your life upside down. Kill the carrier of germs as early as possible. Rats gnaw on several unhygienic stuffs outside your home. The nasty pest targets your home in search of food and shelter. The infestation of rats in your living zone can put your health at risk, as you can get infected with dreadful rat-borne diseases. Procure the top-rated pest control services to exterminate rat-connected hassles at an appropriate time. 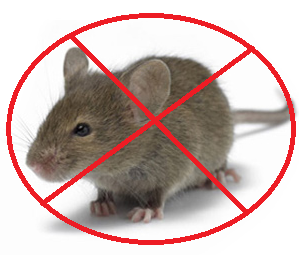 Keep rat-related diseases at bay by the right application of highly effective pest treatments. Rats are potent enough to harm your prized property in a flash. Give a ring to the esteemed pest control company to acquire a long-lasting result from bait techniques and programs. The rats control services in WA will clog the access of malicious rats on a permanent basis. To kill the rats, the first step you should take is you need to stop the breeding of rats. The useful advices, measures and rodenticides given by the technicians will block the rats breeding at once. Meet the pesky creatures out of your residential and commercial zones. Seek instant help from the eminent pest agency to safeguard your health and priceless belongings from the nasty pests.